The attached photo of Simms Hall was taken shortly after it was completed. 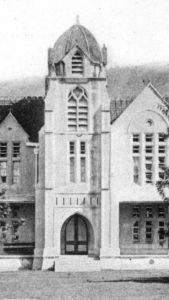 The original structure had a dome at the top of the main tower (see detail attached), but that was toppled in the 1907 earthquake and was never replaced. 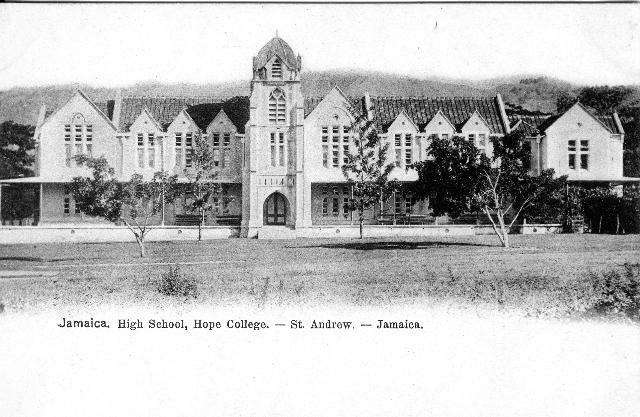 The Jamaica National Heritage Trust has designated Jamaica College’s Buildings, specifically Simms Hall, Scotland Building, the old Assembly Hall and St. Dunstan’s Chapel as a National Heritage site, as those Buildings are of architectural and historical significance.